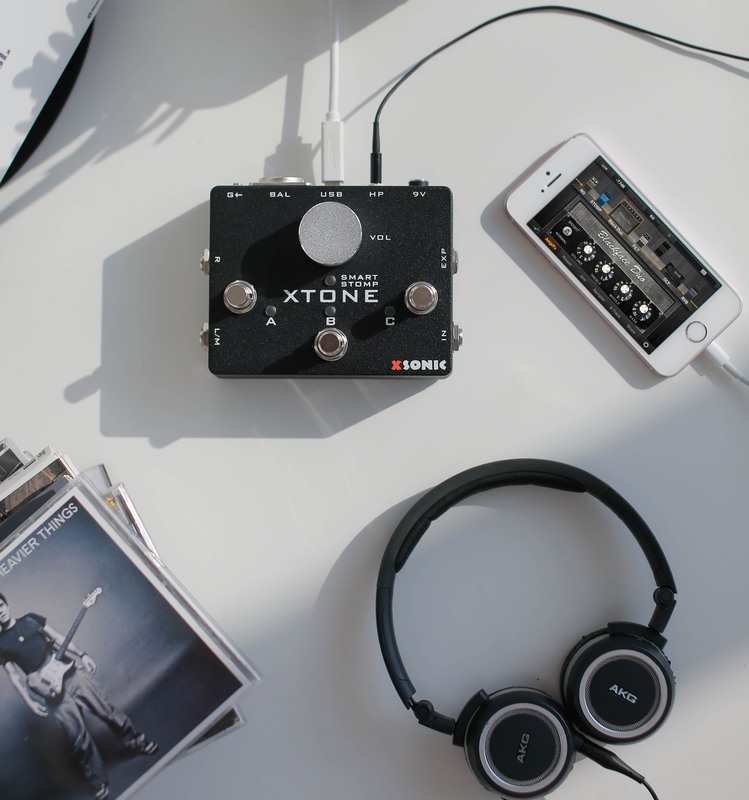 XSONIC XTONE > XSONIC > Diffusion Audio Inc.
XTONE can be directly powered by your phone and have 3 foot switch and 1 expression pedal for playing control. 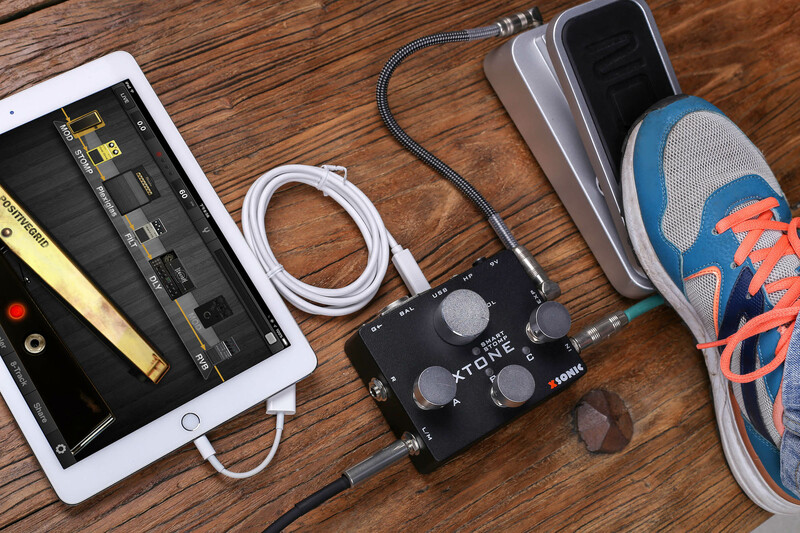 The XTONE can also be used with tablets and computers (MAC/PC) and your favourite guitar amp and pedal simulations including included apps like Garage Band right up to pro apps like Line6 Helix Native. 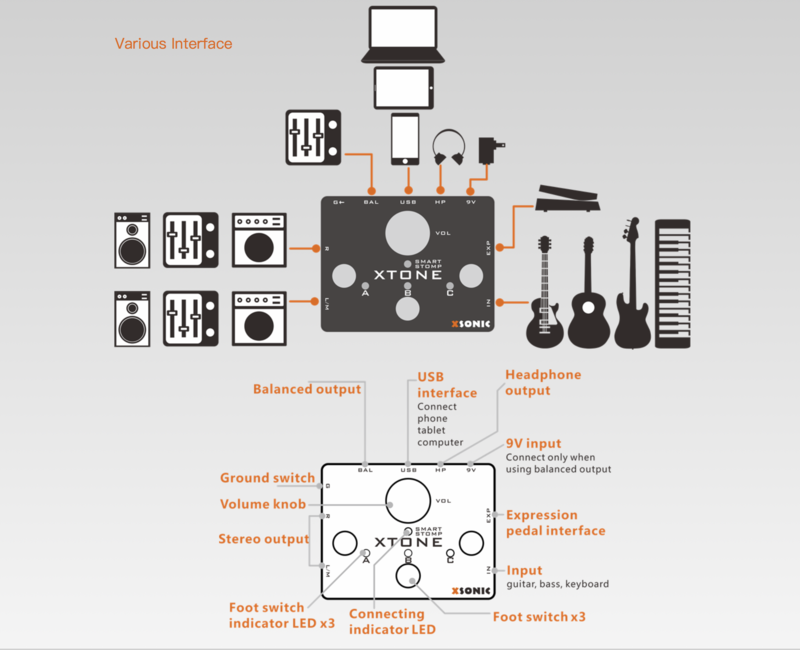 XTONE provides 192KHz sampling rate and 118dB dynamic range, This is unique amongst all mobile audio interfaces which means XTONE rigs have the best sound. 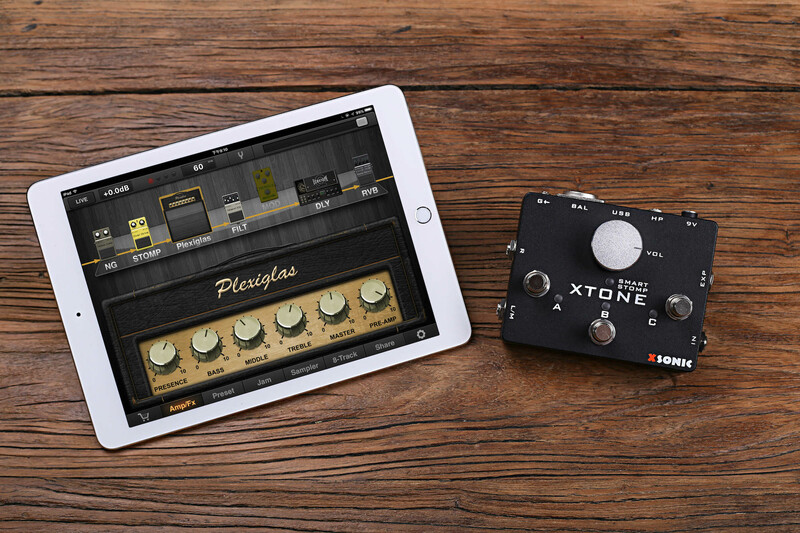 XTONE + APP are able to replace flagship hardware effects. 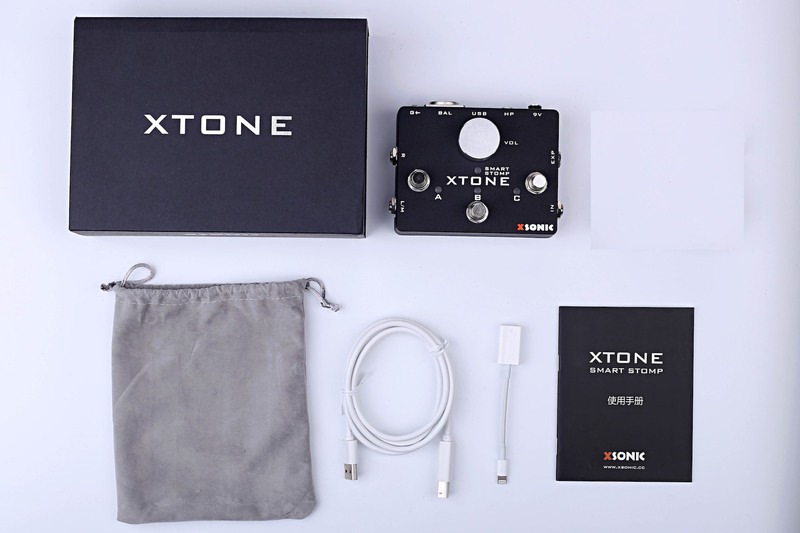 XTONE provides foot switch and expression pedal, can switch the preset, control the volume, control the wah-wah and so on. 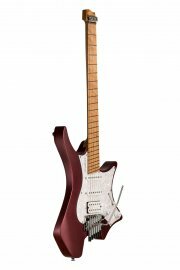 XTONE uses a professional XSPEED acceleration processing technology, make the latency much lower than the similar products.